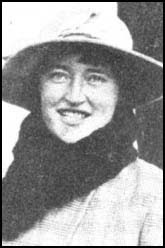 Heroes of Serbia - Memory Eternal: "Little Grey Partridge: The Diary of Ishobel Ross, Serbia 1916-1917"
"Little Grey Partridge: The Diary of Ishobel Ross, Serbia 1916-1917"
Five members of the Scottish Women's Hospital Unit in Serbia. Ishobel Ross is seated, second from the right. Aleksandra's Note: I'm so grateful to the women of World War One, particularly those who served in Serbia in one capacity or another. A number of these women kept a diary, a journal of their experiences with the Serbs, and these testimonies survived the war. Of particular interest are the testimonies of those women who came from other countries to aid the Serbs by tending to their wounds, and doing whatever they could to keep the soldiers and the civilians alive through very difficult circumstances. One such woman was Ishobel Ross, who was with the Scottish Women's Hospital Unit. She was born on the Isle of Skye in Scotland in 1890. She attended the Edinburgh Ladies College in the United Kingdom and afterwards became a teacher in Edinburgh. After hearing a presentation about the Scottish Women's Hospital Unit soon after World War One began, Ishobel Ross felt compelled to volunteer. Volunteers were needed to go to Serbia, and Ross took up the task, arriving in Salonika on August 22, 1916. She stayed on the Salonika Front until July of the following year, 1917. Ishobel Ross died in 1965, but her memories did not die with her. Jess Dixon, Ishobel's daughter, arranged for her mother's diary of her experiences with the Serbs in 1916-1917, to be shared publicly, and in 1988 "Little Grey Partridge: the diary of Ishobel Ross, Serbia 1916-1917" was published by Aberdeen University Press. Below you will find a few of the entries in Ishobel's diary. What a night we had, we all shivered with cold and had to get up and pace up and down to get warm. We shook hands with a woman soldier in the Serbian Army who came up to the camp to see us. Her name is Milian and she has such a nice face, so sturdy too. She had been fighting for three years and was so pleased to have her photo taken. The bombardment has begun. The guns started at 5 a.m. this morning and have gone steadily ever since. The noise is quite deafening and seems much nearer than it really is. A Serbian officer told us that we are only 5 miles from the fighting. It is awful to think that every boom means so many lives lost. They say the bombardment will continue for four or five days. Some of us went to the top of the hill tonight and saw the flashes from the guns. What a gorgeous night too, with the moon shining and the hills looking so lovely. The thought of so much killing and chaos so near to all this beauty made me feel very sad. A whole regiment of Russians passed by, I never saw some splendid men, quite the finest that have passed yet. They are huge and so handsome! They halted for the night quite near us, and two of the officers came to visit our camp. They talked to us in the kitchen for a long time. One of them could speak English very well. Big guns and troops went by all day, and General Serrail drove by in his car. Colonel Vassovitch came into the camp with an English woman dressed in the uniform of the Serbian Army. Her name is Flora Sandes. She is quite tall with brown eyes and a strong, yet pretty face. She is a sergeant in the 4th Company and talked to us for a long time about her experiences, and the fierce fighting she and the men of her company had to face. We felt so proud of her and her bravery. On Wednesday evening a Serbian, Captain Dimitrivitch took Dr Muncaster and me up to his camp. We went up on a funny kind of waggon as no cars can go on the track. It is only open for the food and ammunition carts going up to the front. It is right along the side of Mount Kajmakchalan, and we saw the trenches and barbed wire entanglements just as they left them. I don't think I realized until then what the Serbs had done. It must be one of the most wonderful things that has happened during the war. Even though they are worn out from years of fighting, tormented by the knowledge that the Bulgars had killed most members of their families, without blankets proper food and clothing, the Serbs will never give up a yard of their country. They must have paid a heavy price for this great bleak mountain. From "Little Grey Partridge: the diary of Ishobel Ross, Serbia 1916-1917"